Cost: Free; Open to staff and students. Feel intimidated by the Adobe interface? Want to edit your photography using something other than a phone app? This workshop will cover the basics of image manipulation, including important Photoshop tools and concepts. No experience needed. 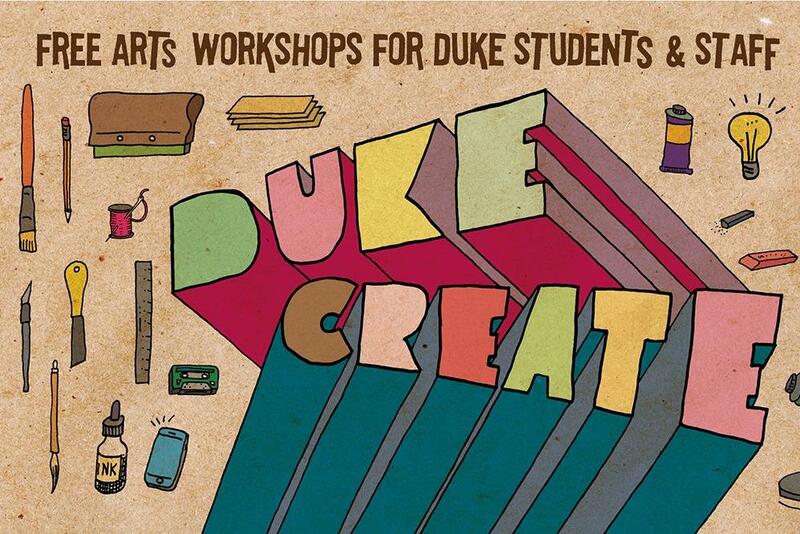 DukeCreate workshops are open to Duke students and staff of all skill levels and backgrounds and offer a perfect way to develop a new creative skill. Digital media workshops are in the Rubenstein Arts Center and presented in collaboration with the Innovation Co-Lab Roots Program. All other DukeCreate workshops are in the Arts Annex. All workshops are taught by Duke MFA|EDA graduate students and local artists.